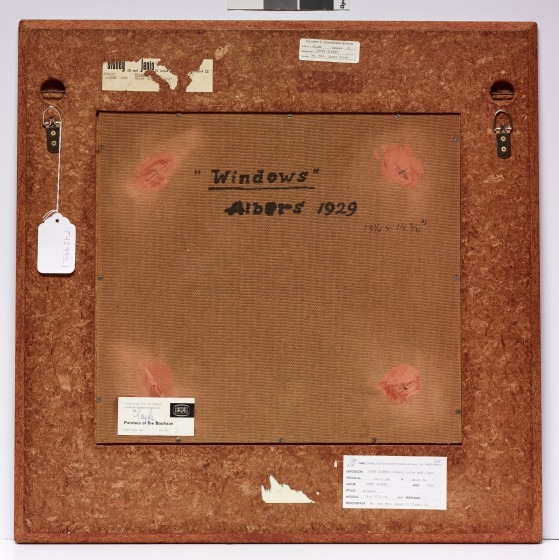 Windows belongs to the second phase of Josef Albers’ sandblasted flashed glass production, which began around 1929. Likely inspired by photography, he reduced his palette to white, gray, and black tones. 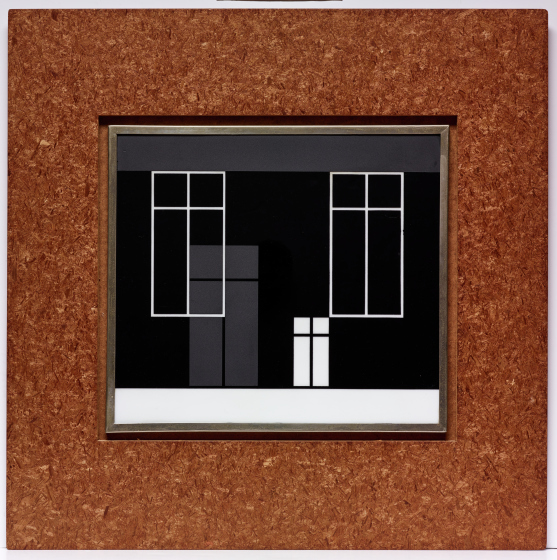 Albers started with black flashed glass (a sheet of opaque white glass coated with a thin layer of black glass) onto which he sandblasted his design. By controlling the intensity of the sandblasting, he could produce both matte gray and white forms. True to Bauhaus principles, Albers associated his “glass paintings” with architecture. Here, the artist used both positive and negative space to suggest the forms of windowpanes. The juxtaposition and overlapping of large and small windows create the illusion of spatial depth and suggest the transparency of certain forms, in spite of their opacity. This play on the material properties of glass is evident in the work’s title and subject. 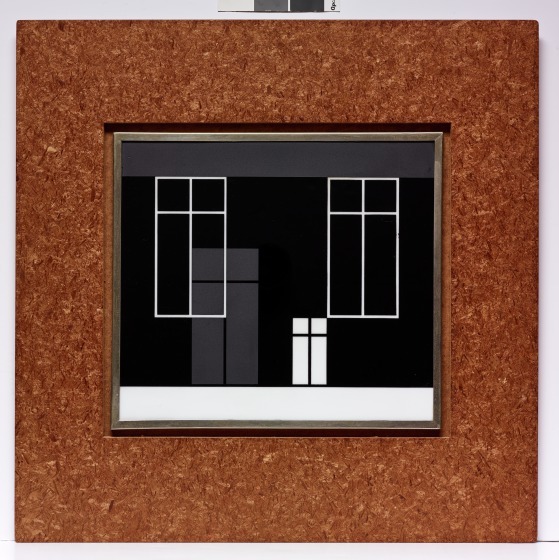 While windows are typically transparent, Albers’ flashed glass panel and the windows he etched on its surface are not. View several of Josef Albers's paintings from his series Homage to the Square. Learn more about artists Josef and Anni Albers.